Collectic Home is proud to support the following causes and charities. Please click on each icon link below to learn why. The Livestrong Foundation believes that in the battle with cancer, unity is strength, knowledge is power and attitude is everything. 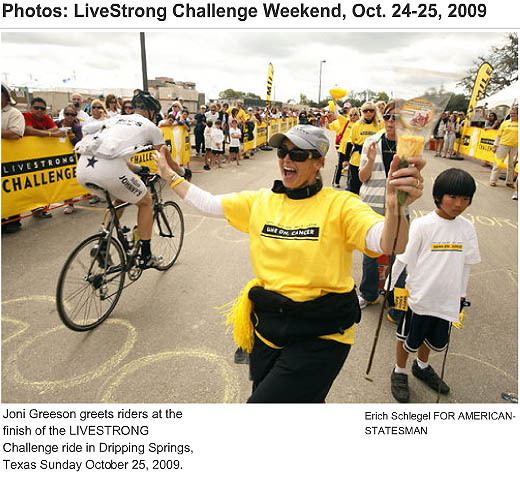 From the moment of diagnosis, Livestrong provides the practical information and tools cancer survivors need to live strong. The Eanes Education Foundation (EEF) is the fund-raising arm of the Eanes Independent School District. EEF strives to fund the gap between an adequate education as defined by the state of Texas and the excellent education we seek for our children. The Austin Public Library Foundation and the Friends of the Austin Public Library support the Austin Public Library through volunteerism, advocacy, and fund raising. The KIPP Foundation, based in San Francisco, was established in 2000 to enable innovative and pioneering educators to open new KIPP schools across the nation. The KIPP Foundation provides support for all KIPP schools, but each school or region is locally governed by a board of directors and is subject to the regulations of its home city and state. KIPP schools are widely recognized for narrowing the achievement gap in public education and putting underserved students on the path to college. Nationally, fewer than one in five low-income students typically attend college. By contrast, for KIPP schools, the college matriculation rate stands at nearly 80% for students who complete the eighth grade at KIPP. The Texas Advocacy Project is a statewide nonprofit legal organization that promotes access to justice for Texas women and children in need. Started in 1982 as a legal hotline, the agency has evolved as an expert on legal issues affecting survivors of domestic violence and sexual assault, and now provides a range of services that promote the use of legal protections to end violence against women. The mission of the Center for Child Protection is to reduce the trauma to children during the investigation and prosecution of child abuse cases. St. Stephen's Episcopal School is an independent, co-educational college preparatory boarding and day school for grades 6-12. Founded in Austin in 1949 on the principles of diversity, students are exposed to varying belief systems develop tolerance for divergent points of view, an understanding of universal tenets and a deepened appreciation for their own religious tradition. St. Andrew's Episcopal School offers K-12 education on two Austin campuses. Its mission is to nurture children's growth in every way; spiritually, emotionally, athletically, artistically, and academically. A well-rounded approach helps students broaden their horizons, realize unbelievable opportunities, and accomplish their dreams. St. Michael's Catholic Academy is a college-preparatory school founded by laity within the Diocese of Austin to serve a diverse student body. Combining academic excellence with faith formation and co-curricular learning opportunities, St. Michael's prepares the whole student for leadership, service and decision-making consistent with Catholic values. The Paramount Theatre has stood on Congress Avenue in the heart of downtown Austin for nearly 100 years. The site was once home to Sam Houston’s office and the War Department of the Republic of Texas and later the Avenue Hotel. As Austin’s oldest surviving theatre (built in 1915), the Paramount has a long history of entertaining Central Texas audiences. The Junior League of Austin is a diverse group of dedicated women working to make Austin a better place. The Junior League of Austin is a nonprofit organization formed in 1934 committed to promoting voluntarism, developing the potential of women and improving our community through the effective action and leadership of trained volunteers.